A beef and sheep farmer from West Devon has won her battle to get small bottles of milk into the food-on-the-go section of supermarkets. 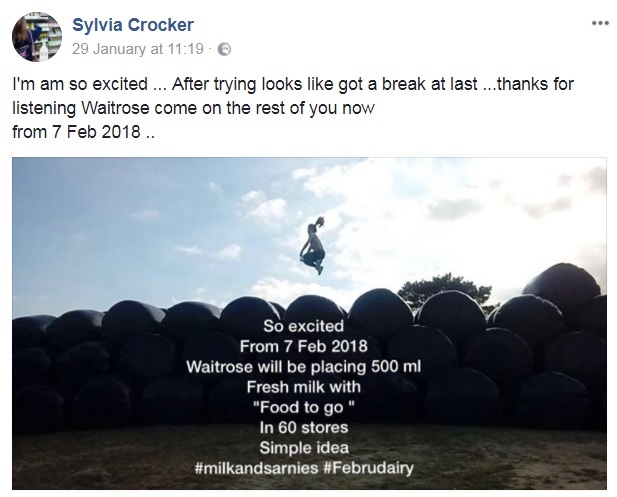 Sylvia Crocker has been pushing several of the big retailers to support her ‘milk and sarnies’ project for some time now. The idea would see shoppers encouraged to choose milk over sugary drinks when buying their lunches. 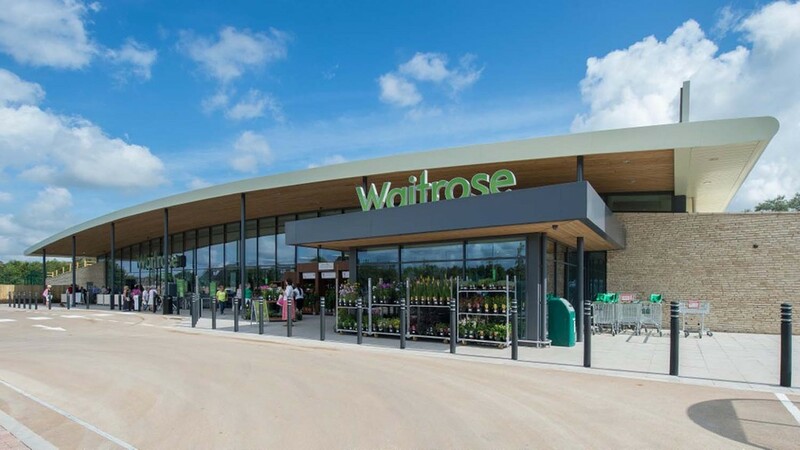 After strenuous efforts from Mrs Crocker, Waitrose has agreed to trial the project across more than 60 of its stores, beginning next week. 500ml semi-skimmed bottles of Cravendale will be sold for 60p alongside its pre-packed sandwiches and salads. Speaking to Farmers Guardian, Mrs Crocker said: “I am beside myself. I am just so excited for this to finally happen after trying for such a long time. Moira Howie, nutrition manager at Waitrose, said milk is an ‘ideal’ drink to go and a great source of protein and calcium. “It hydrates and quenches thirst and is a perfect addition to a healthy balanced diet”, she added.